The Boundless Art Pavilion is art for all locations and all people. It is playful, flexible, welcoming and educational. The pavilion is essentially broken down into one-meter-squared panel modules, leaving freedom to expand, reduce and divide space. The modules can be customized; the ceiling panels could be glass or be opaque with artificial lighting. The wall panel aluminum exterior could be altered in geometry and color, making the pavilion an art canvas. The wall panel interior would be gypsum board, creating private exclusive spaces for exhibitions and theatre performances. The pavilion’s appearance of a floating jewel over a carpet-like surface is inspired by the Itsukushima shrine in Miyajima, Japan. The warm and welcoming champagne gold aluminum panels and the light tearing through the pavilion enclosure, attracts passersby but also contrasts the heftiness of the paneling and concrete surface. The pavilion is floating and mobile, but also robust and bold. The exterior is designed to welcome and comfort all. The concrete surface encompassing the pavilion is a seating area. Apart from the steps, there would be a ramp to the pavilion for the handicapped. Entering the lobby, one would be welcomed by a long table, which could be for reception, buffet or bar. The columns and structural cabling, along with the panel modules, expose structure, making the pavilion not only an arts space, but also an educational space, teaching passersby how the pavilion is constructed. The pavilion`s bare bones are exposed for either enjoyment or for artists to embellish. 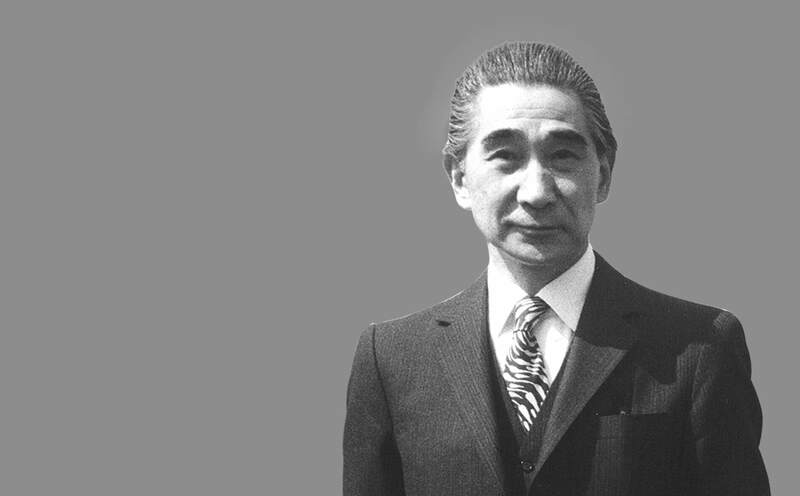 The history of Tange Associates began with the founding of Kenzo Tange Studios in 1946. One of the studio’s first projects was the design of the Hiroshima Peace Park, to commemorate the rise of a new era of peace. Almost 70 years later, the Tange legacy continues with close to 480 projects in 33 countries. The firm is now headed by Paul Noritaka Tange, the son of Kenzo Tange, who is Chairman and Senior Principal Architect.